Sen. Rod Bradley (R-Orange Park) holds up an award from the Florida League of Cities for his efforts in local pension reform. The League is now opposed to the bill it credited Bradley for. There are more than 400 local pension plans paid for by cities and counties and many of them are underwater. The problem has gotten increasingly worse during the past 15 years—with the systems more than $10 billion in the red. Last year, lawmakers thought they had a deal to fix the system, but the cities are backing away from it. 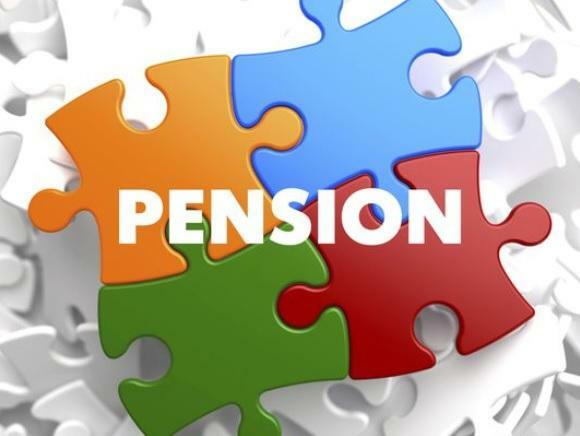 Local pension plans are usually reserved for city employees, police and firefighters. The police and firefighter systems are in the most trouble. According to a 2014 LeRoy Collins Institute Study, about a third of the local pension plans it studied are underwater. The institute’s Carol Weissert says part of the problem is due to a 1999 law that changed the way tax revenue on insurance premiums can be used. “The 1999 law provided premium tax dollars paid by citizens in the local jurisdictions would go for more benefits for police and fire pensions—not the general employees," she said. As pensions have grown increasingly unstable, it hasn’t made sense that those dollars continue to fund extra benefits. 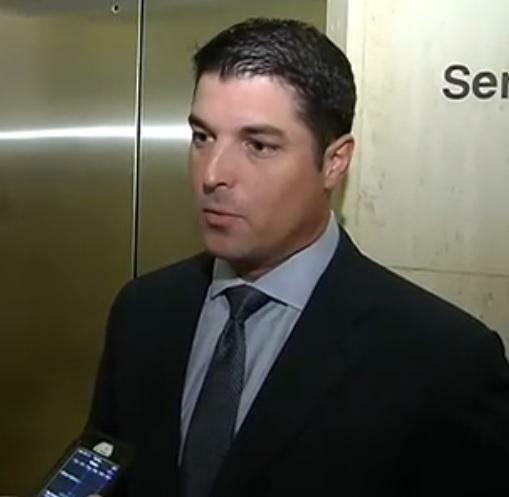 Lawmakers have come up with a plan to nullify the '99 law. It’s a compromise between the cities, and the police and firefighter unions. Or rather—it was. Florida League of Cities Lobbyist Craig Conn says he spoke too soon in supporting last year’s proposal. “Yes, we agreed to it. I was out in front of my membership. I was too far out in front of my membership. And that’s where we are today," he explained to lawmakers on the League's behalf. During a previous proposal, Conn called the bill a "giveaway" to the unions. The proposal lawmakers are considering is the same one the cities, police and firefighters agreed to last year. Now the cities are backing away. Bill sponsor Sen. Rob Bradley (R-Orange Park) is taking a swipe at the cities. During a Senate hearing Tuesday, Bradley pointed out the hypocrisy in giving him awards for backing pension reform legislation. 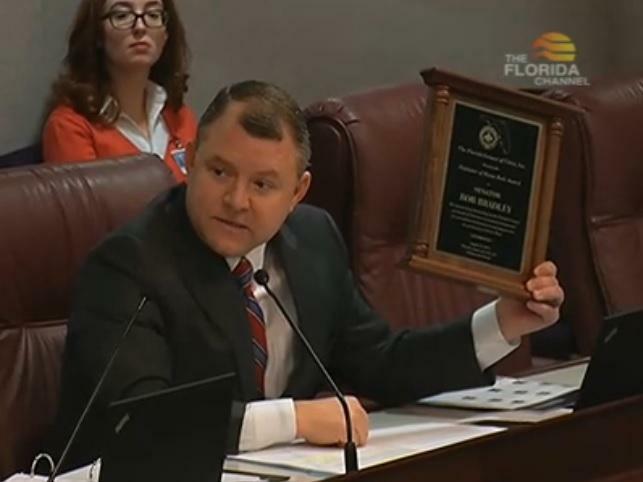 “I was proud after session the Florida League of Cities gave me the 'Defender of Home Rule' award because of my efforts to get this bill passed and tackle this problem," he said, holding up a plaque from the Florida League of Cities and reading a citation he received from the Florida Chamber. Bradley’s proposal lets local governments use some insurance premium tax dollars to pay for both minimum benefits and additional ones as negotiated through collective bargaining. Cities say they’d rather lawmakers work with what’s called the “Naples Letter” which has allowed some cities to use the tax money to cover minimum benefits, and if something is left over—fund extra ones as well.